A free, family friendly neighborhood tradition, the Mueller Tower Lighting features music from Reagan High School Drumline, refreshments from Colleen’s Kitchen, Lady Quackenbush’s Cakery, La Madeleine French Bakery & Cafe, Starbucks & HEB, giveaways and food trucks! Downtown Bastrop will have weekends in December filled with the Lost Pines Christmas Event with the banner weekend December 6th-9th. Packed full with events for all of the family to enjoy – check out the schedule here: Weekend 3 Schedule. Come on out to Main Street for Christmas Family Night 2018, featuring a welcome from Mayor Craig Morgan and Santa! Along Main Street you will find small decorated wooden houses that host various games and activities. 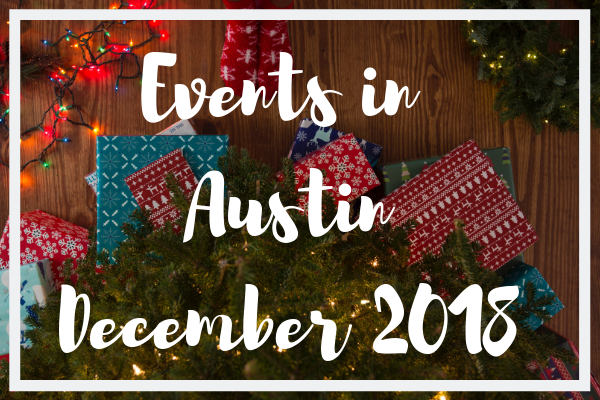 This event also includes activities for the entire family like live music, dancers, candle making, game booths, Frosty the Snowman, Santa Claus and more! The City of Cedar Park kicks off the holiday season with their annual tree lighting event! Featuring free carriage rides, games, prizes, crafts, live music, inflatables, food concessions and photos with Santa! Runners and walkers will enjoy this annual holiday themed 5K. This event will go on, rain or shine, and features and kid’s and adult’s run. Wear your Santa hats and jingle bells and join in on the festive fun! Liberty Hill celebrates the season with it’s Christmas Festival. Featuring carriage rides, live music, trail of lights, snow playgrounds, craft & food vendors, Santa’s Village and games for children this event will be a great time.